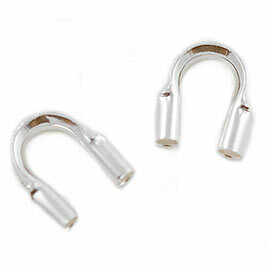 .925 Sterling Silver Wire Protectors with a .021 inch internal diameter and anti-tarnish finish. Use these in place of French wire to attach your clasp and create a finished look that also protects your wire. Per Piece.